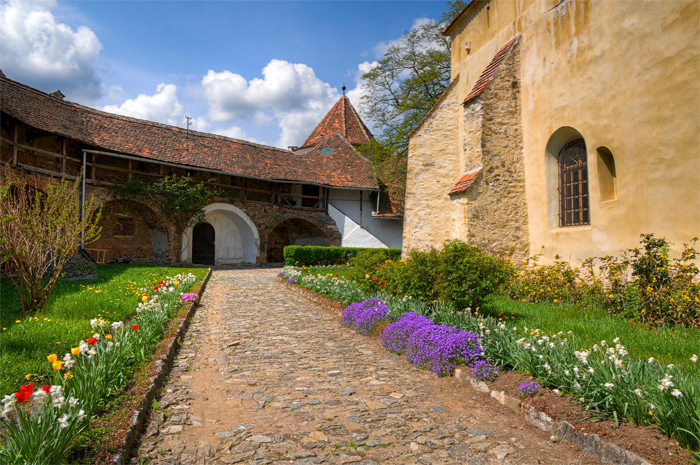 Cisnadie Fortified Church is one of the 25 UNESCO World Heritage Sites in Romania. Originally built in the 12th century as a Romanesque basilica, the church was fortified during the 15th century to protect the local Saxon population against repeated Ottoman raids. The fortification process included the construction of fortified towers over the two side entrances and the choir, the building of a double structure of defense walls, a moat and several defensive towers along the walls. The clock installed in the 195-feet high (bell and clock) tower has been working since 1868; no repairs were ever needed! 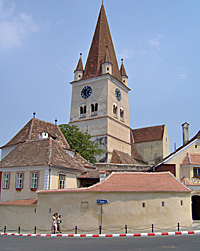 The tower of Cisnadie fortress also features the first thunder road installed in Transylvania (1795).